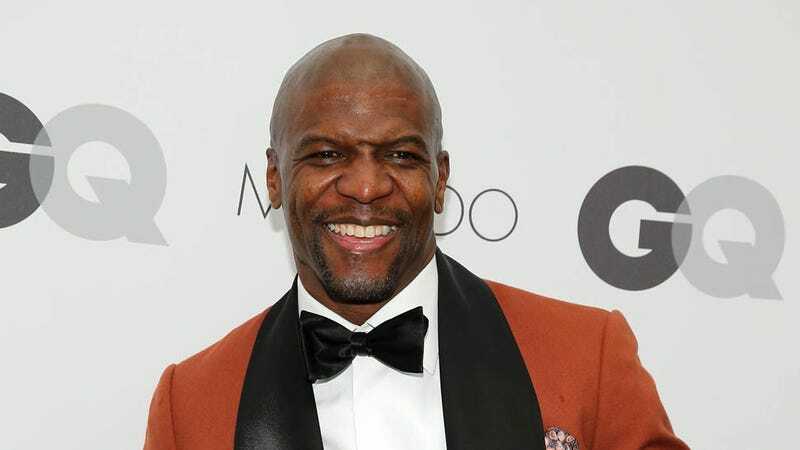 While you probably know Terry Crews from Brooklyn 99, Everybody Hates Chris or his time playing in the NFL, you might be less familiar with his work as one of the most progressive and thoughtful voices in gender criticism. The actor—who just published the book Manhood: How to Be A Better Man - Or Just Live With One—recently took part in the What Makes A Man 2014: Maps to Manhood conference and sat down with Elamin Abdelmahmoud to discuss feminism, consent and what it means to "be a man" today. The entire talk is well worth a listen, but here are some particularly choice excerpts. I get a lot of guys who are like, "You know, that's good, man. That's cool," and I also get guys who are like, "What are you DOING? "...It's like, what is the big deal? But it's [that I'm] telling. [I'm] telling. "It's MAN CODE, dude. Man Code! C'mon. "...but does Man Code work when it's your daughter who gets raped? Man Code—does that work when your mom gets abused? ...I'm living in the real world and you can drink the Kool-Aid all you want. A lot of guys love the Kool-Aid. The sports world is Kool-Aid world...You can do anything if [you win]...What happens is they win and they go, "You know that girl? She's my trophy. I deserve that girl. In fact, she don't even want to be with me, but I don't care. I'm going to take it." What kind of mindset is that? Never never never never never should that ever be accepted. That's not "code." That's Taliban. That's ISIS. Conclusion: Terry Crews should lead talks across America.